Morgan Cullen & Ball Limited is a law firm based in Birmingham. 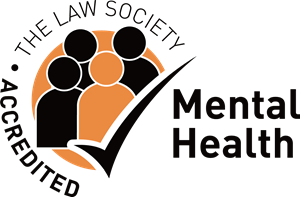 We specialise in Criminal Law and Mental Health Law. Whilst we have offices based in the Birmingham area we represent clients throughout the greater West Midlands area and throughout the country. Morgan Cullen & Ball Limited is a company formed by the merger of a number of specialist firms that have practiced in Birmingham and the West Midlands for the last fifty years. Our firm prides itself on providing first class legal services and representation in our specialist areas of practice. We have a long history of exemplary service to our loyal client base. Ours is a mixed practice operated in partnership with solicitors and a barrister to offer our clients the widest access to expert representation and advice at every level of the legal process. Our firm holds legal aid contracts in both Criminal and Mental Health Law. Our office locations are open from 9 a.m. until 5 p.m. Monday to Friday. Our firm operates an emergency out of hours telephone service for both Criminal and Mental Health Law matters. This service is provided 365 days a year. You can also contact ourselves via this website using our contact form for any non-urgent or general enquiries about the services that we provide.